Centuries ago, it was discovered that using apple cider vinegar on hair can make hair look soft, smooth and shiny. Does it sound weird to you? To find out the truth, read on here. Is Apple Cider Vinegar Good For Hair ? Apple Cider Vinegar is a great treatment for itchy and dry scalp. It helps in cleansing up buildup and smoothening hair cuticles. Its use after shampooing your hair is an effective way to revitalize hair texture. Need convincing? Here are 12 apple cider vinegar hair benefits and treatment. 1. Natural Conditioner: Apple cider vinegar works as an excellent natural hair conditioner, in the same way as baking soda functions as a natural shampoo. So, it’s a perfect natural combination to get clean and shiny hair, all in a natural way!! 2. Natural Cleanser, too: When combined with baking soda, it makes a super-powered hair cleanser. 3. Natural Clarifying Treatment: It’s ideal for getting rid of clumpy residue and gunk from products build-up in your hair, without depriving your hair of its natural oils. 4. Fights Tangles: It works as a natural detangler. It flattens the hair surface, letting a comb or brush to slide easily through the hair. 5. Enhances Porosity: Adequate porosity enables hair to absorb and retain moisture. Apple cider vinegar’s acidity enhances porosity by closing the hair cuticle. Consequently, hair will retain more moisture. 6. Treats Dry, Itchy Scalp: It contains antibacterial and anti-fungal properties, so will soothe and heal an itchy, dry scalp. 7. Prevents Split Ends And Breakage: It has the capability to smooth hair’s cuticle, thus can control split ends and hair breakage. 8. pH Balancer: Hair is towards the slightly acidic side of pH scale, and its ideal range is pH of 4.5 to 5.5, which is quite near to that of an apple cider vinegar rinse (pH 2.9). Therefore apple cider vinegar hair rinse is helpful in bringing the pH back to where it should be after shampooing. 9. Revitalize Hair: When used regularly in your natural hair care routine, it can revitalize your hair, leaving it soft and smooth. 10. Cure Dandruff: Apple cider vinegar has natural anti-fungal properties to combat and mitigate dandruff. Plus, its acidic properties balance pH levels and restore the scalp’s protective acid mantle layer to ward off further fungal growth. 11. Eases Frizz: When it’s used as a follow-up to baking soda, it works to make hair strands shinier, closes cuticles and lessens frizz. 12. Apple Cider Vinegar And Hair Loss: In some cases of hair loss, it can stimulate hair growth also. (i) Plain vinegar is very strong to use on hair. So remember to dilute it first. Simply take one part water and mix it with one part of organic apple cider vinegar. One-fourth cup of vinegar and one-fourth cup of water should be enough for a single hair rinse. In case your hair is too oily, you may add an extra tablespoon of vinegar. On the other hand, if your hair is dry or you tend to have dandruff scale back the quantity of vinegar by a tablespoon. (ii) Shampoo your hair as usual with your favorite shampoo. Avoid using hot water as it makes hair to look dull and frizzy. Also don’t use cold water as it may not be able to get rid of chemicals and dandruff from the scalp. Better if you can use lukewarm or water at room temperature. (iii) Leave out the conditioner. As you are using apple vinegar rinse, there’s no need to use conditioner after shampooing. The rinse itself works to make your hair look soft and smooth. So it can be called apple cider vinegar hair conditioner. (iv) While your hair is wet, slowly pour the apple cider vinegar rinse over your scalp and try to spread over the top of your head. Massage it gently into your scalp and smooth it into your hair from the roots to the ends with the help of your fingers. (v) For best results, leave the rinse in your hair for a couple of minutes. This will let the rinse to fully soak into your hair. (vi) Rinse your hair as usual. There is no need to go overboard; as the vinegar’s smell will go away once your hair dries. (vii) Dry your hair as you normally do. Better to let it air dry. When you are finished, your hair will look shiny and smooth. The smell of vinegar should also be gone. (viii) Don’t use vinegar too often, as it can dry out your hair. Use it just once or twice a week to get rid of buildup in your hair, restore pH balance and shine. (i) Mix up your normal apple cider vinegar rinse as above and place it in a container with a lid. (ii) Add in 1 tablespoon of honey and stir it well. (iii) Place the lid on the container and shake it well before use. (i) Make your normal apple cider vinegar rinse. Pour it into a container with a lid. (ii) Separate egg white from the egg yolk and drop only the egg white into the container with vinegar rinse and stir it well. (iii) Put the lid on the container and shake well before use. (iii) 1/2 to 1 teaspoon of olive oil. (iii) Lemongrass. This can excellently mask vinegar smell. Which Apple Cider Vinegar To Buy For Hair Rinse? (i) Look for organic one. It is made from organic apples and does not contain harmful chemicals, fertilizers and pesticides. (ii) Also go for raw unpasteurized quality as the unpasteurized cider vinegar has much powerful enzyme offering all the health benefits of apple cider vinegar. (i) Make sure the vinegar is diluted with water. (ii) Do not let the rinse go into your eyes as it will sting. (iii) Keep normal vinegar rinse in a spray bottle in your bathroom. That way you can spritz your hair with the mixture and message your scalp for removing residues buildup from your hair and also to keep the soap buildup off your bathroom floor and walls. (iv) You can mix one teaspoon apple cider vinegar into your favorite shampoo and use to wash hair, massaging and concentrating on your scalp. i want to mix an essential oil or another helpful additive to my Organic Apple Cider Vinegar (with Mother). I need to store it as a rinse without water and the vinegar must not go bad by the additive. Is there anything that can be added to Vinegar and kept at least for 3 months? Rinsing your hair with vinegar after shampooing leaves it shining. Certain herbs can highlight or enhance your hair color, as well as condition it. For instance, rosemary and parsley are good for dark hair, sage will darken graying hair, chamomile will highlight blonde or light brown hair, calendula conditions, lavender and lemon verbena add fragrance, linden is good for frequently shampooed hair, and nettles will control dandruff. You can use either fresh or dried herbs. If you have a rosemary bush handy, use a sprig or two– each about 5 inches long. For dried rosemary use about a tablespoon. Rosemary is one of the best herbs for hair. Fresh lavender is also nice to use. Most of the herbs you can grow in your garden will probably be useful in some way or other. Fresh herbs are wonderful to use, but do remember to rinse them if they have been sprayed with anything. Cut fresh herbs in the morning after the dew has dried. (i) Place approximately 1 cup of chopped herbs in a glass jar. (ii) Cover with 2 cups of organic apple cider vinegar. (iii) Steep the mixture in a tightly closed jar or bottle in the refrigerator or in a dark, cool place for two weeks. (iv) Strain steeped vinegar from herbs through cheesecloth or a coffee filter into a fresh, clean bottle. (v) The infused vinegar (without water) will keep for 6 months to a year if stored properly in a cool and dry area. (vi) When ready to use: dilute 1 to 2 tablespoon of the herbal vinegar in 1 cup of water. Rinse through wet hair after shampooing. Rinse it out with fresh water or, for extra conditioning benefits, just leave it in and towel dry hair. The vinegar scent will disappear as your hair dries. Thank you for the great recipes. I am gonna try them all, one by one. I recently tried ACV rinse, and it kind of made my hair dry and they tangled a lot. as suggested I skipped the conditioning. but they appeared were dry and even broke. I suppose I am doing something wrong some where. please assist. PS- I used 2,5 cups of water and 1 cup vinegar. ACV rinse normally does not tangle hair, rather they work to remove tangles. Shampoo and condition your hair as usual. Then rinse your hair with a mixture of 1/2 cup ACV with 2 cups of cool water. Did you mean to write that there is NO need? You mentioned that this is only good as a weekly treatment but I read about a girl who has been using baking soda and vinegar for three years and her hair is gorgeous! Make sure that you add a little bit of ACV to coconut oil to test how your scalp is responding to the mixture. If you will ok then you can increase amount of ACV a bit more. No this damages your hair badly. Apply coconut oil for 2 or 3 hrs nd wash normally with shampoo thn do rinse of apple cider mixed with water and if you have dry hair and scalp then mix 3-4 drops of coconut or olive or almond oil with your apple cider rinse. 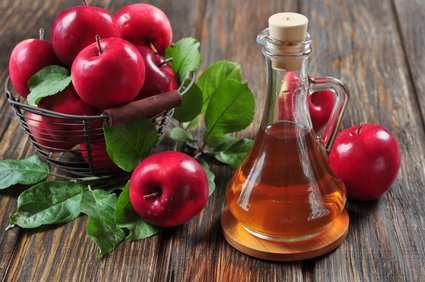 But if your scalp is oily thn pour then first pour some apple cider vinger mixed with water on your scalp and thn mix oil and pour on your hair.Or if you have dry ends then pour apple cider vinger mixed with water on your scalp and normal hair first and for dry ends mix any oil in left liquid and pour ii. For ends you can also message 2-3 drops of any recommended oil after rinse it is more effective. I am w8 for your rpy. Can you add the acv+egg+honey or even acv+honey+oil, or do it have to be one or the other. You can also use acv+honey+coconut oil for hair mask. The coconut and honey nourishes, while the apple cider vinegar will make your hair look all shiny and swishy. Again, we urge you to use caution with the vinegar, however, as it may fry your hair if left on for longer than the suggested 20 minutes. How is ACV used for hair growth in bald scalp? To grow hair on a bald scalp, I would suggest that you consult first a hair specialist / dermatologist to find out the causes for your bald scalp. Accordingly, they would suggest appropriate treatment. Apple is a very beneficial fruit.It keeps different vitamins, which are very important for good health. We get maximum benefits and useful tips from it after reading this. Thanks for share these tips.